In Dubai you are required to recalculate your car insurance every year. RSA, a leading multinational insurance group, constantly heard complaints from their customers about the delays they faced when calculating their new rate. The process is often time consuming, laborious and often dreaded. 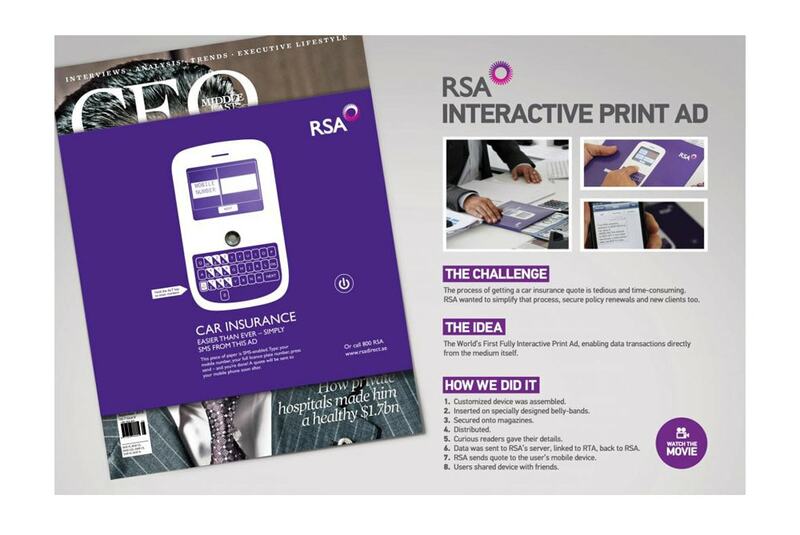 To make the experience effortless, Ogilvy One worked with Americhip to create an innovative solution for RSA and its customers. Rather than being forced to call in and wait for an agent, consumers were able to use the VIP Live™ - enhanced magazine ad to calculate their own rates. Consumers were prompted to use the VIP Live™ keypad to enter their mobile number and license plate number. 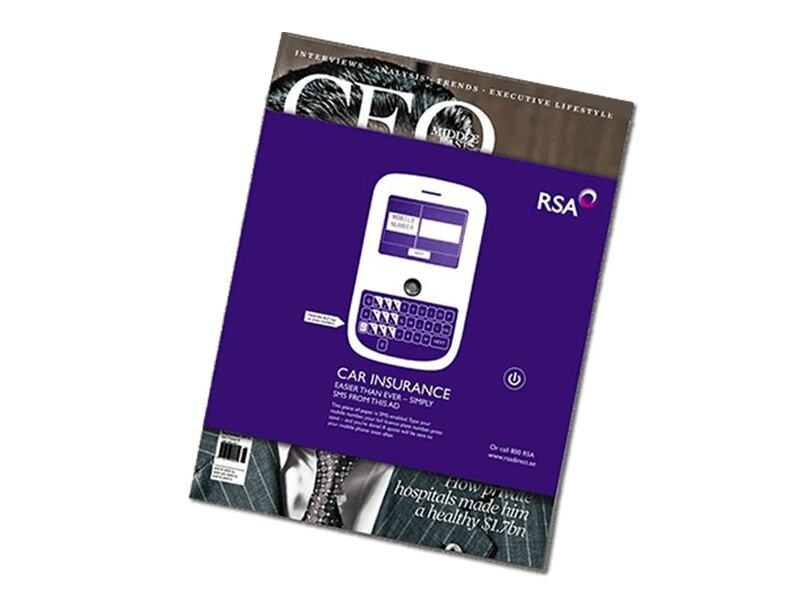 Once the information was submitted, consumers received a personalized car insurance quote on their phones instantly. This revolutionary approach to car insurance is one of the many applications made possible using VIP Live™ technology. Contact Americhip today to see how we can help you create your next award winning, buzz generating marketing campaign.